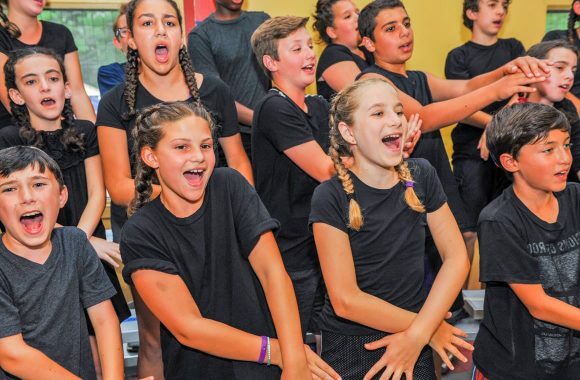 Every day is full of fun activities at Camp Yavneh. It is nearly impossible to describe a typical camp day – but last year’s schedule below offers a general overview of a camper’s daily life. This schedule will be updated for Kayitz ‘18 soon. *Electives and activities include: tennis, archery, basketball, sailing, boating, hiking, sports, free swim, art, music, drama, art, cooking, ceramics, filmmaking, team building, gardening, woodworking, nature, Israeli dance, fitness, yoga, soccer, climbing wall, aerial acrobatics. Shabbat is a day of rest and joy for campers, filled with ruach as we separate ourselves from weekday activities. 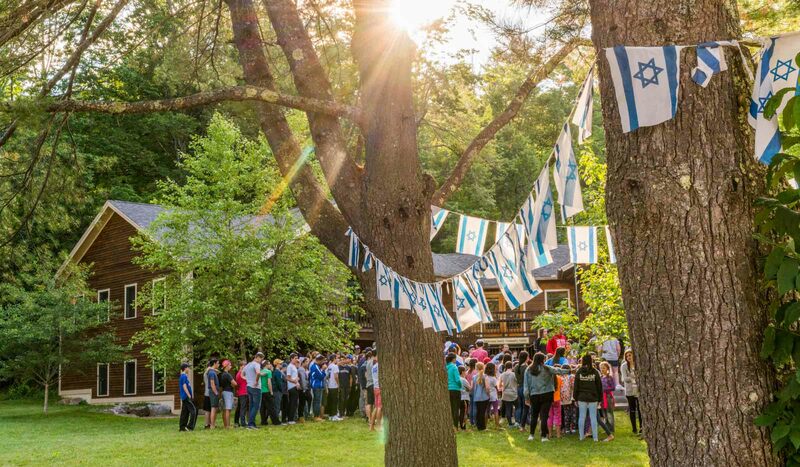 Our traditional Shabbat begins with ReliSh, when the entire camp gathers together for spirited singing and preparation for Kabbalat Shabbat in the beautiful outdoor Gilboa. After a delicious meal, campers sing Zemirot. On Shabbat day, campers relax, catch up with friends, read, play, participate in Jewish learning and enjoy the less-structured environment at camp. Morning tefillot are age-appropriate and include both a mechitza and an egalitarian option. At the end of Shabbat, all of camp participates in Havdallah and enjoys a dance performance and Israeli dancing. 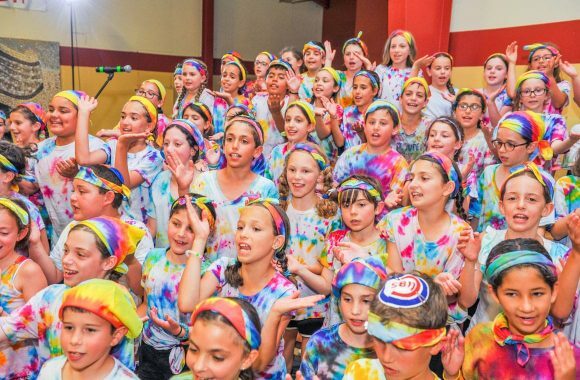 Campers look forward to weekly Achla Yom during each session. Achla Yom includes special trips to a variety of locations including beaches, state parks and mountains in New Hampshire or Maine. Other Achla Yom activities have included bowling, visiting a nursing home or seeing a movie (in inclement weather). Camp Yavneh’s Zimriyah is one of our oldest traditions and is always scheduled during the first session. Parents are invited to attend, although most do not. Because we understand the difficulties of long-distance travel for most camp families, Zimriyah will be streamed online. Please note that if you do attend Zimriyah, due to the level of activity, there is little chance you will visit with your children and packages are not allowed. Birthdays are celebrated at camp with signs, cards and a special gift. In addition, our baker makes a beautiful cake for your child’s bunkmates to share and their bunk will have an ice cream party. Our Rosh Banim/Rosh Banot will coordinate a phone call home for your child on their birthday. Camp Yavneh has one visiting day a summer, for full summer campers and Kerem only, and we look forward to seeing you there. This year visiting day is on Sunday, July 21st. Camp Yavneh offers Bar Mitzvah/Bat Mitzvah tutoring for a fee. Sign up for tutoring on the Camper Profile form in your My Yavneh account online. The tutoring coordinator will be in touch with you before your child/ren’s camp session begins.